Cacti is a complete network graphing solution designed to harness the power of RRDTool’s data storage and graphing functionality. Cacti provides a fast poller, advanced graph templating, multiple data acquisition methods, and user management features out of the box. All of this is wrapped in an intuitive, easy to use interface that makes sense for LAN-sized installations up to complex networks with hundreds of devices. This will start installing cacti and prompt for some questions. 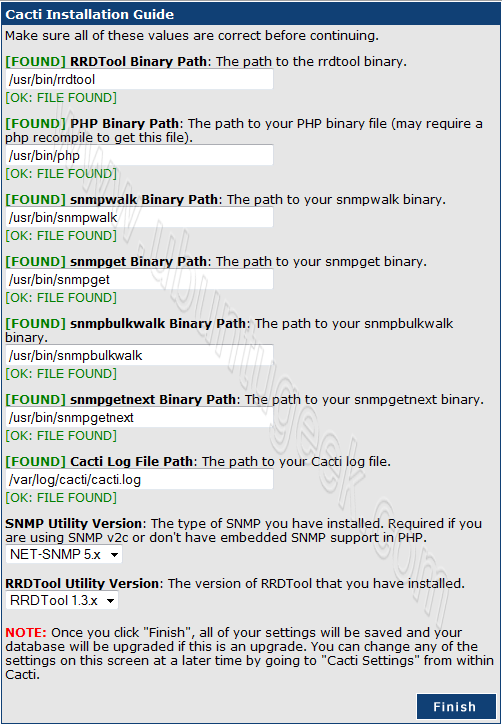 Configuring libphp-adodb option select ok Enter to Continue. This will complete the cacti installation. Now you need to point your browser http://serverip/cacti press enter.You should see similar to the following screen Click Next to Continue. You need to select the type of installation as New Installation and click next to Continue. You should see the following screen like below once you logged. 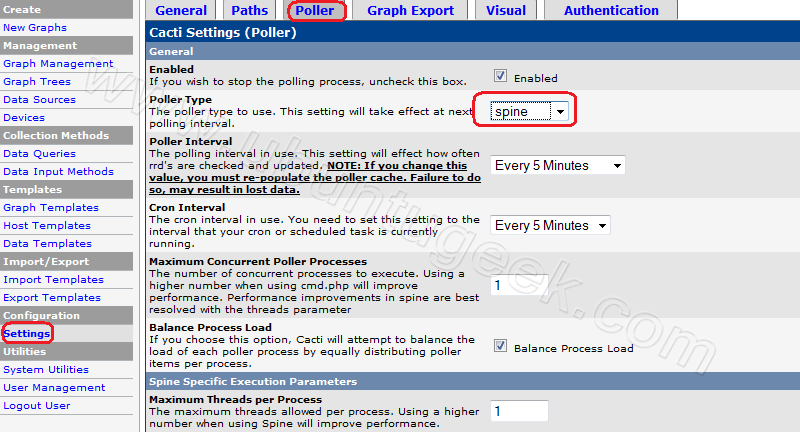 Now you need to click on Poller Select “spine” in the “Poller Type”,click on Save. Does somebody have an idea that I can attach that cacti to my nagios interface? I’m trying to find sth in comon between these two tutoras – the last two links. 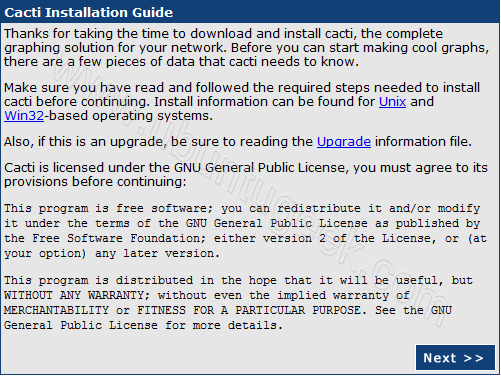 My stupid dummy question is that : What’s the differences by doing apt-get install cacti and cacti-spine? Spine is a very fast poller engine, written in C. It is an optional replacement for cmd.php. Thanks for your quick response, but have you got any idea concerning my first question? Yeah i installed cacti-spine as told from your tuto/blog. I realise that if I want to get a host’s graphes (server/switch/router, etc) I need to do it by hand for each host whereas I have already some configurations from my nagios’s configuration file. :=) So I’m wondering how i can intergrate a small icon as showing in the first link (“hack cactiplugin”)so that we won’t tire ourselves into rewrite/”reconfigure” things all over again. I’d like to thank you again for your feedback. can i use nginx for cacti monitoring ? I use parsed output of vnstat -tr -i [adapter] and have that piped into cacti/rrd so I can get the exact graphs I want. I don’t care for the stock cacti graphs all that much. If you really want cacti to be useful you need to make sure that all of the snmp clients are setup with complete read access to all oids and you need to know that they contain. Then you can make some pretty usefull graphs. Its helpful to have two different methods to feed info into cacti so you know your graphs are correct. 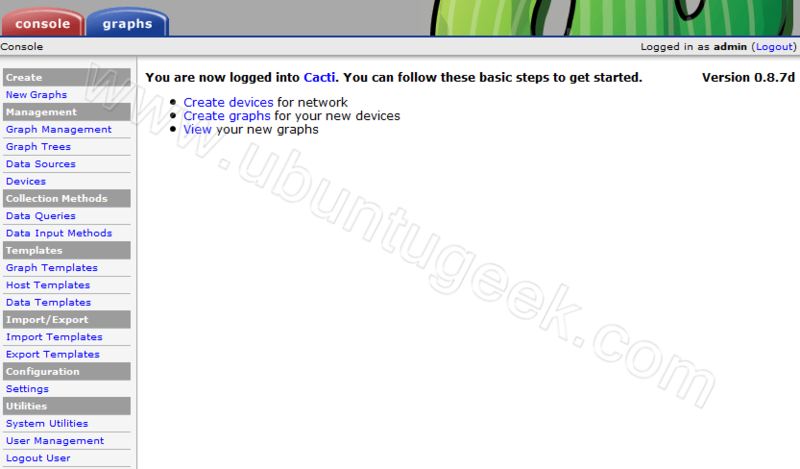 Thank you for this documentation, I was able to install Cacti on Ubuntu server successfully. 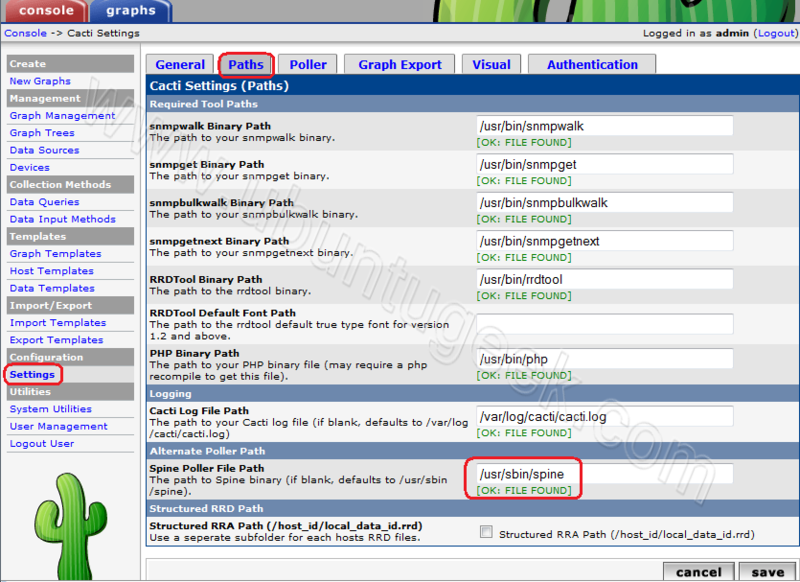 Next I would like to install Cacti plugins (Discovery, Monitor & Syslog) but do not know how to go about doing it, do you have document that help me? My installation has been working for weeks and now i just get a blank page when i browse to “http://server-ip/cacti”. I can see it getting to the page, but no login anything appears. The server at 192.168.141.148 is taking too long to respond. The requested site did not respond to a connection request and the browser has stopped waiting for a reply. « Should Ubuntu include proprietary software?